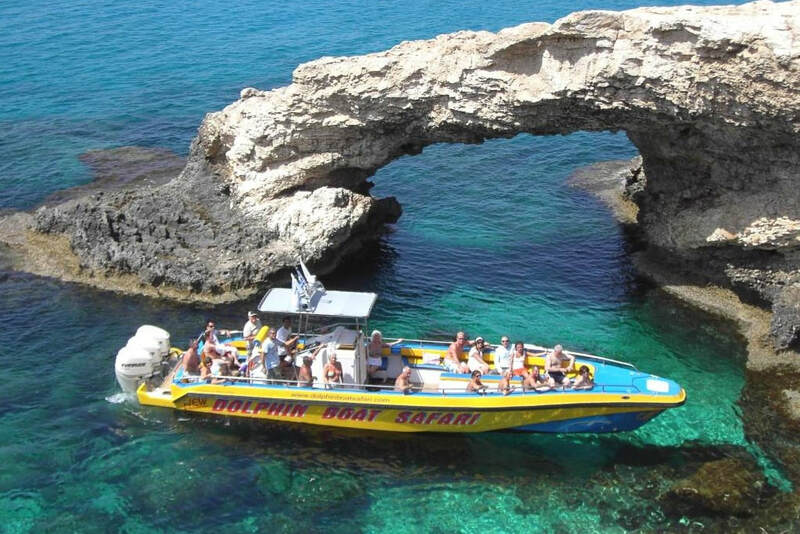 The dolphin boat safari is a unique boat trip in Ayia Napa and is one of the most fun ways to see the beautiful coastline along the east coast of Cyprus, plus if you're lucky you might see dolphins and turtles! 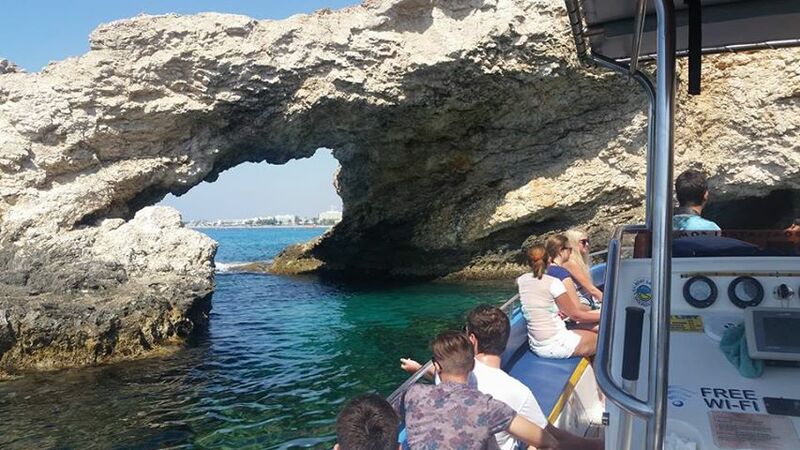 Captain Theklis will ensure you have a spectacular time on the crystal clear mediterranean sea as you go where no other boats can go at the beautiful Ayia Napa sea caves. 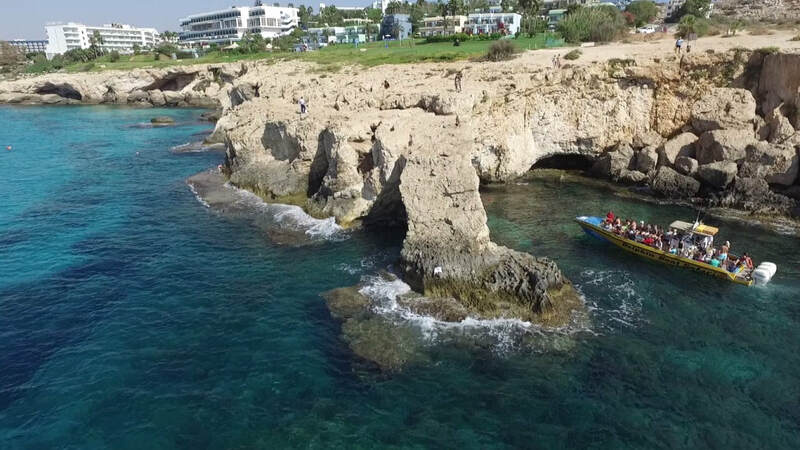 View the impressive peak of Cape Greco and the lovely Konnos Bay. Take a refreshing dip or snorkel at the blue lagoon. 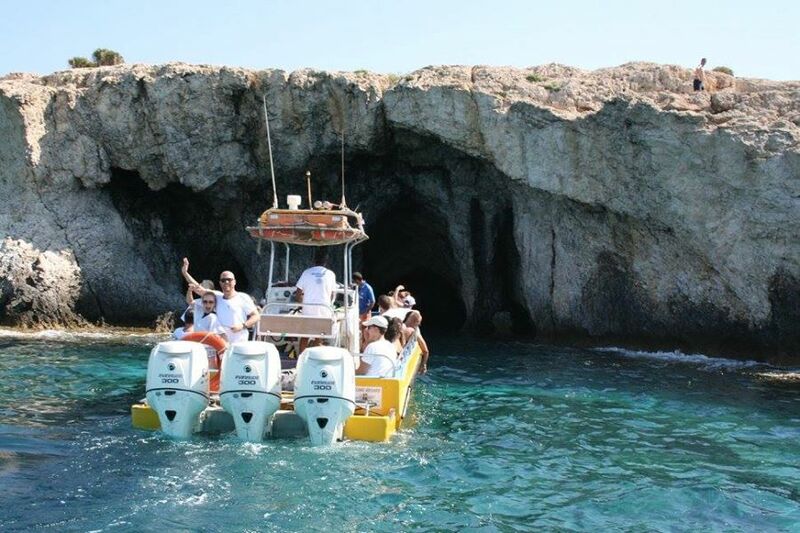 The original Dolphin boat safari is onboard the yellow boat which is equipped with 3 powerful engines meaning the sailing is fast, exciting and full of adventure! 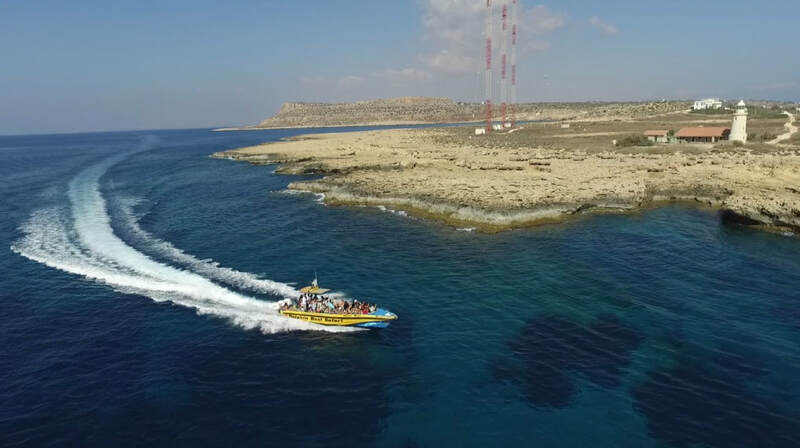 This boat trip is 3 hours long and sails on from Konnos Bay, past Cape Greco until the viewpoint where you can see the ghost town of Famagusta. 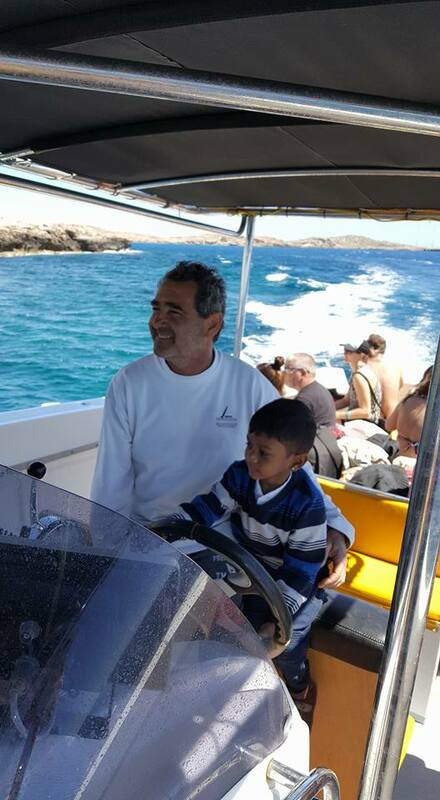 On the way back, the boat heads away from the coast where there is a chance of spotting dolphins! Soak up the sun on board, take in the stunning scenery, enjoy a swim and take away some amazing memories. 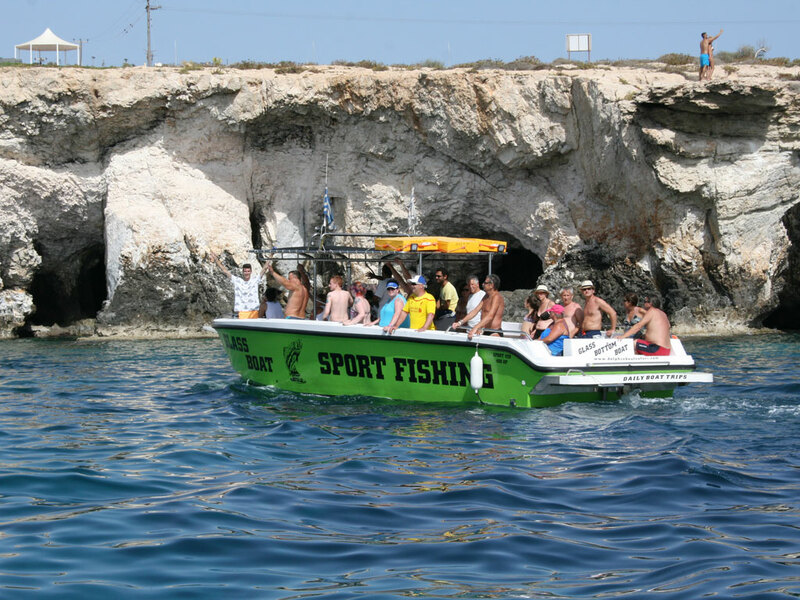 This is one of the most popular boat trips in Ayia Napa and quite unlike anything else. 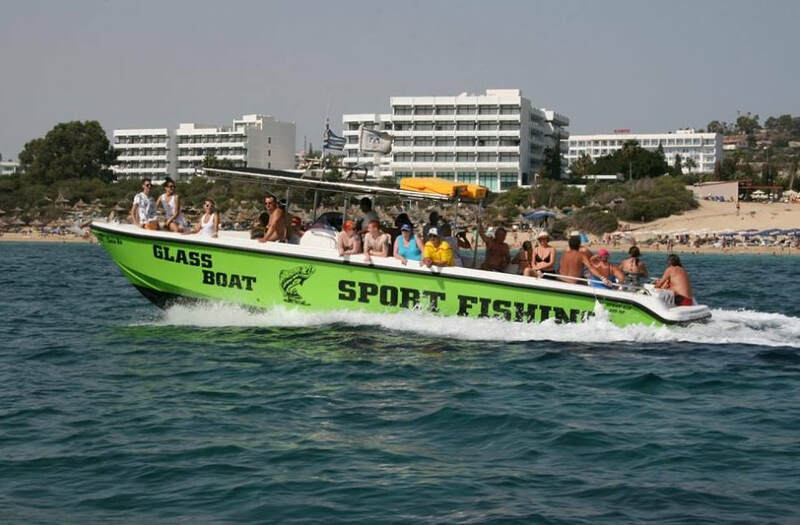 The Dolphin Boat safari has 3 engines - 900HP - 45 foot boat. Maximum 35 passengers. 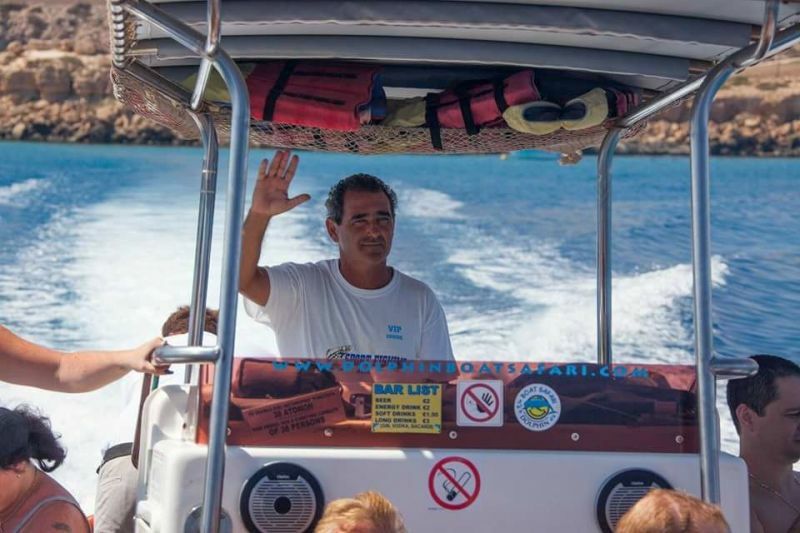 The Turtle boat safari has a maximum of 25 passengers. Yellow Dolphin Safari - 3 and a half hours approx. Green Turtle Safari - 2 hours approx. Price includes: A soft drink or beer. 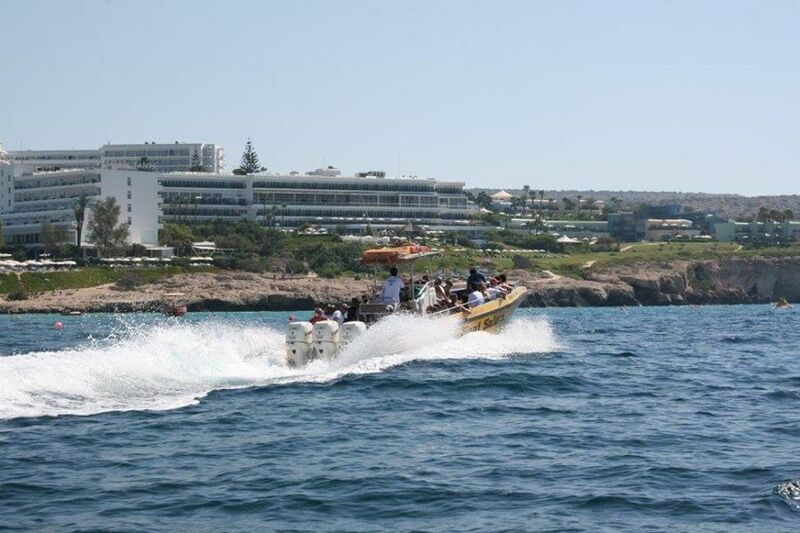 Yellow Dolphin Safari - €30 Adults & €15 Kids. 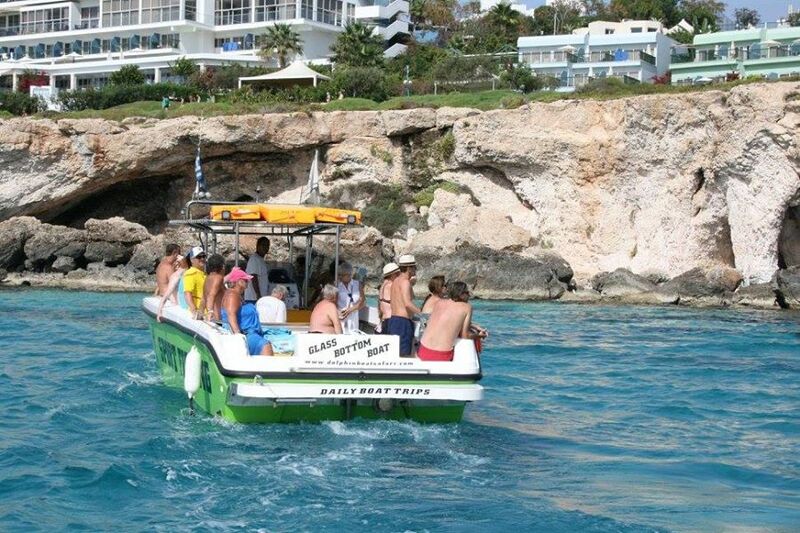 Green Turtle Safari - €20 Adults and €10 Kids.